Priming is the indirect enhancement of the immune response of plants to pathogens. Compared to unprimed plants, the immune response from primed plants, upon pathogen attack, is much stronger. Recent research in Arabidopsis thaliana has shown that the plant hormone cytokinin has a priming effect against biotrophic pathogens, a phenomenon we call cytokinin-induced priming. The molecular mechanisms behind priming remains largely unknown, although recent studies have indicated that chromatin modifications, such as acetylation/de-acetylation, may play a role. Here, we show that cytokinin perception is necessary for the action of other chemicals that have known priming activity. Further, using a gene expression meta-analysis, we identify a histone deacetylase (HDAC) whose expression is regulated by cytokinin. We show through genetic analyses that this HDAC functions as a negative regulator of cytokinin-induced priming. Chromatin mapping using Assay for Transposase-Accessible Chromatin using sequencing (ATAC-Seq) indicates that priming by cytokinin involves differential regulation of genes involved in nitrogen assimilation, metabolism, and amino acid transport which alters the susceptibility of the plant to pathogens. We propose a model in which cytokinin-induced chromatin regulation of overall nitrogen status in plants functions as a new and general mechanisms of defense priming against biotic stress. Cris Argueso is an Assistant Professor at the Department of Bioagricultural Sciences and Pest Management at Colorado State University. Research in the Argueso lab aims to understand the role of plant hormones in plant immunity and growth, with emphasis on hormonal crosstalk. Her lab uses genetics, gene expression, metabolomics and chromatin mapping studies to probe how plant hormones orchestrate plant physiology, ultimately leading to processes of immunity or susceptibility. 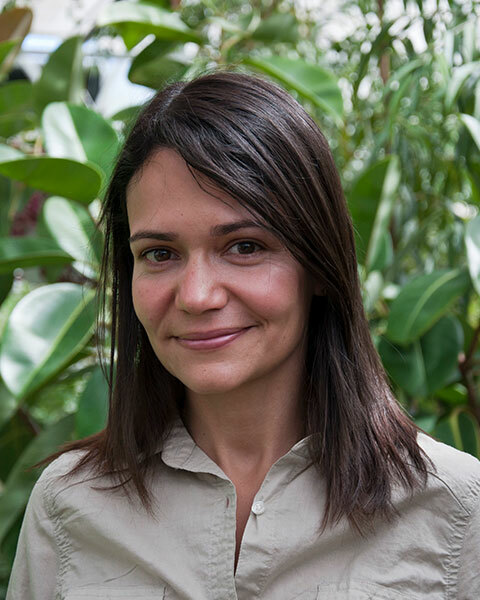 Bio: Cris Argueso is an Assistant Professor at the Department of Bioagricultural Sciences and Pest Management at Colorado State University. Research in the Argueso lab aims to understand the role of plant hormones in plant immunity and growth, with emphasis on hormonal crosstalk. Her lab uses genetics, gene expression, metabolomics and chromatin mapping studies to probe how plant hormones orchestrate plant physiology, ultimately leading to processes of immunity or susceptibility.